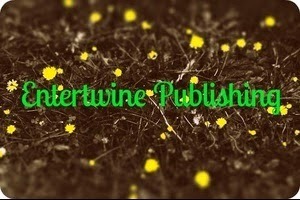 On their Facebook page Enterwtine publishing states: "Help Indie Authors make their dreams come true." Which makes me assume they are not a full publisher but some kind of self-publishing assistance company, or something? Honestly, I wish people would be clearer about what their companies actually do. I spotted three typos on their index page which were fairly minor, but then I am a terrible proofreader so there may be more. Their website is offered via a free service. There seems to be pretty heavy overlap between staff and authors suggesting a self-publishing co-op, but they are soliciting outside submissions. Overall, there is not much to suggest this would be a good place to send your manuscript.